But what is it that really captures players to EVE Online? Every other MMO to date has gone through the same cycle of rapid growth, a plateauing of the subscription base and then the eventual slow decline until the developers can no longer keep the lights on. 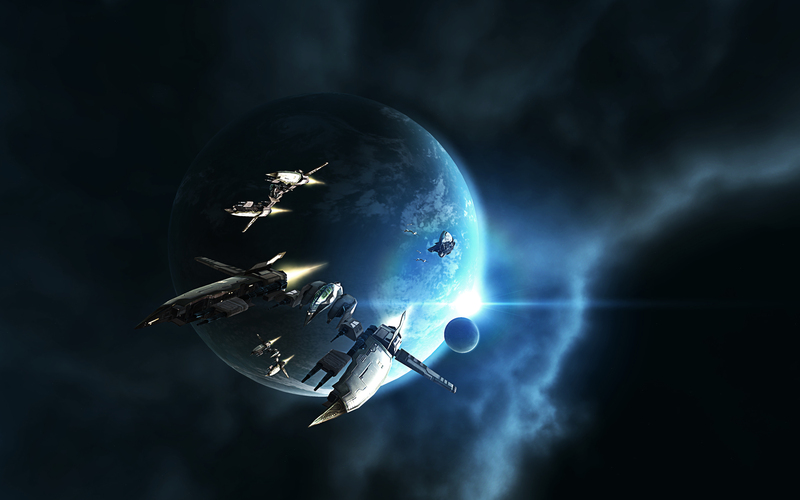 CCP believes it's all a matter of creating a virtual world that's more meaningful than "just a game", relying on the sandbox instead of the theme park and maximizing player's interactions with each other. 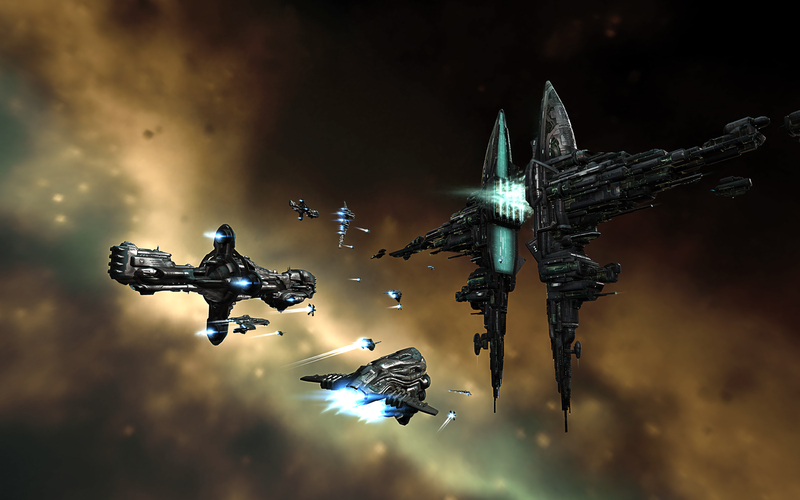 This is accomplished through methods like having all the players in EVE Online connect to a single shard and single universe. Another MMO might boast millions of subscribers, but those millions are subdivided into hundreds of servers, factions and zones. So at any one time you're only ever playing with a tiny fraction of total population. Compare this to say the battle of Asakai, a recent fleet battle where nearly 3,000 players participated. This wasn't some raid dungeon or scripted encounter, a player piloting a massive Titan-class ship simply jumped to the wrong system on accident and the whole fight happened because of this one action. Other corporations and alliances quickly jumped on the opportunity to destroy such a valuable vessel, while the pilot's own allies scrambled to defend it, and a massive fleet battle ensued. 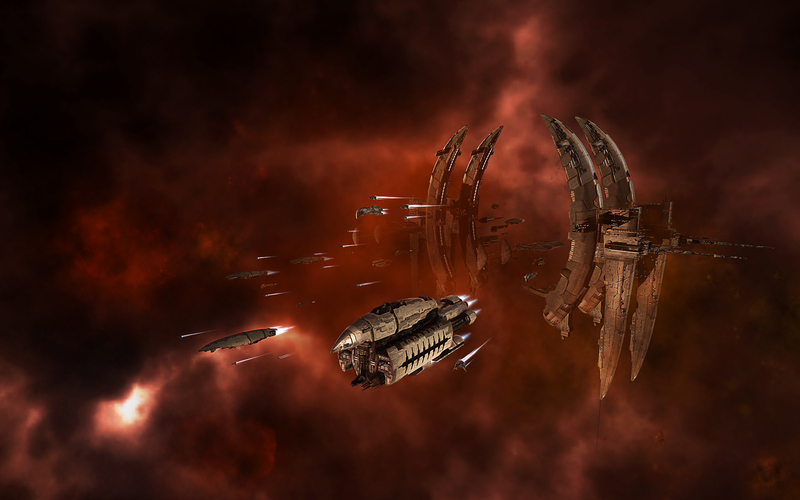 Once the dust settled, all those ships don't simply respawn, they must be rebuilt piece by piece by players. 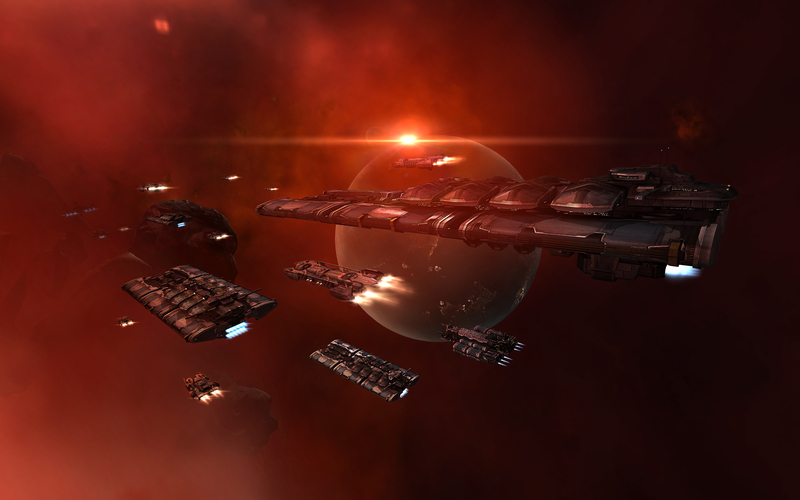 It's these experiences that really cement players to EVE and every player, and developer, has their story. It could be accidentally losing the ship that your friend lent you, leading you to frantically mine in order to replace it since you legitimately feel bad about it. Maybe it's roaming around in low security space as a pirate and spotting a ship to pounce on along with another pirate, and simply knowing "the pirate code" means you'll help each other destroy the third ship together but then all bets are off between you two. Or that time where an alliance feigned neutrality in a conflict, all while supplying one side with resources. It might be your tiny corporation harrying another that thought you'd be easy prey. It might even be the straining relationship of the game and real life as you're mid-battle with your buddies and then hear the baby cry. EVE is a game where the patient are rewarded, because hours of tedium can be paid off for a few minutes of real tension, wonder or excitement that you'll not get in any other game. This is progenitor of the True Stories event that is currently running, where players can submit and vote on their best tales. Some of these stories will even be used as a basis for a comic book and tv series. The theme for Fanfest and EVE was "The Second Decade", and so much as it was a celebration and look back on what the EVE universe was it is also a look forward. 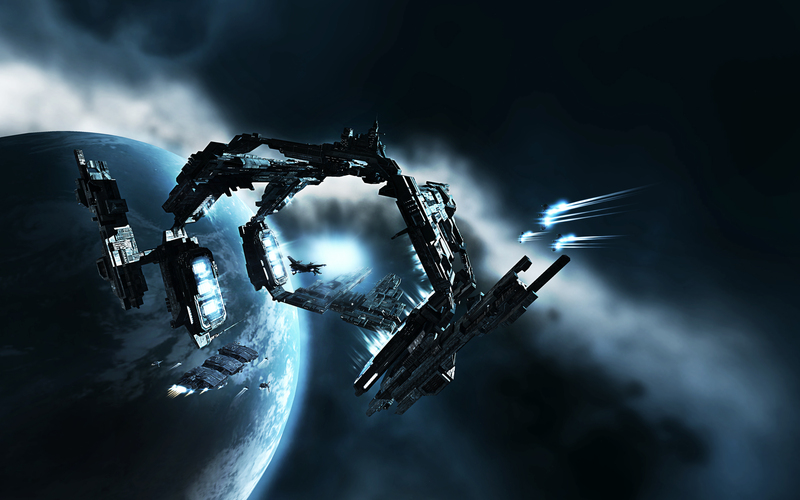 On the Janurary 22nd the Dust universe and EVE universe officially became one with the connection to the same server, and later this month on May 14th, Dust 514 will leave beta and launch officially. In the upcoming Uprising build of the game, Dust mercenaries will begin to be able to conquer planets and set up structures in the districts. Further down the line, they will be expanding on all the equipment to fill in all the racial variants for each slot, much like EVE, and continually dialing up the interactions between the two games that share the same universe. Space elevators will ferry supplies from the surface into space where player controlled war barges can move Dust clones to their next fight. There may even be boarding parties of Dust players to contend with much further in the future.